CloudLIMS, an advanced cloud-based SaaS LIMS, accelerates biobanking, clinical research, and testing laboratory operations by efficiently managing laboratory data, automating laboratory workflows, and following regulatory compliance such as HIPAA, 21 CFR Part 11, ISO/IEC 17025:2017. 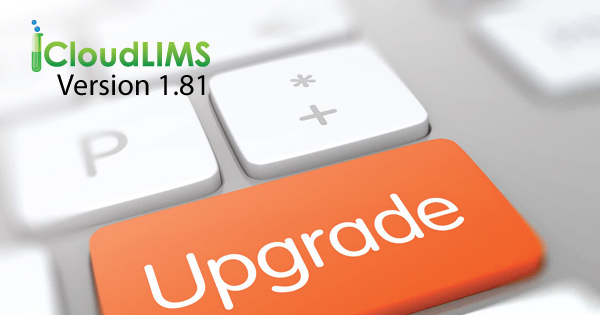 CloudLIMS is pleased to introduce a new module, the Kits module, in its new version 1.81. The new module facilitates users to create kits from laboratory inventory, enables automatic deduction of inventory from the stock based on the kits created and helps track the shipment of kits. The new version is committed to better cater to the data management requirements of clinical and testing laboratories such as cannabis, agricultural and food & beverage. The new version also includes the functionality to filter samples based on their status. Kits Module: Create kits, manage stock and track shipped kits to facilitate sample collection from multiple sites with this new module in CloudLIMS. You can configure inventory templates for each kit type, with a defined set of consumables and reagents, and their counts. While creating kits, the templates triggers an automatic deduction of the inventory items from the stock. You also get automatic alerts when the supplies need to be reordered. Create unlimited Kit types and customize the contents of a kit based on the requirements of your testing sites without having to manually select the items from the inventory. Associate the kits with an outgoing package to monitor shipping. Additionally, you can generate a comprehensive custom report to include records of kits, their components and their shipping status in a PDF or MS Excel file format, for your audits. Sample Filters: Run a quick search based on the status of sample - Stored, Received, Checked out, Expected, Disposed of, and now, the expiration status. Any specific search criteria can be saved and set as default to view samples from the database. It can be edited easily, to see the desired samples. CloudLIMS, an advanced configurable cloud-based SaaS LIMS, accelerates biobanking, clinical research, and testing laboratory operations by efficiently managing laboratory data, following regulatory compliance, and automating laboratory workflows on a cloud platform. The latest version of CloudLIMS, version 1.78.5, is equipped with features that can help clinical and testing laboratories better meet the reporting and data management requirements. 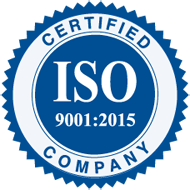 The highlights of this version of the LIMS system are the ability to generate a comprehensive concise report for multiple tests, configuration of report templates, and batch import of aliquots or derivatives. Import Aliquots or Derivatives: You can now import multiple aliquots or derivatives from a file, helping you save time to manually enter data and enabling their quick availability in CloudLIMS for testing and external distributions. The system generated or user-specified parent sample ID is used for associating the aliquots or derivatives with the parent samples and for auto-updating the genealogy, facilitating quick tracking of the aliquots or derivatives in the system. The meta-data related to aliquots or derivatives, such as barcode ID, storage location, subject ID, inventory ID, study ID, etc., is updated in CloudLIMS if the data is present in the import file and mapped with the attributes specified in CloudLIMS, enabling efficient data management and interlinking with the other modules. Report for Multiple Tests: Modern testing laboratories perform a number of tests on a day-to-day basis. Based on the clients' reporting requirements, they may need to generate comprehensive test reports containing concise and accurate test results. You can now generate a single comprehensive report for multiple tests, each of which may have one or more samples of same or different types, enabling you to better meet the reporting requirements of your clients. The test reports generated in MS Excel file format facilitate quick downstream processing of test results. Configure Report Template: You can now configure report templates for each module type. For example, you can configure multiple report templates for each test group and test code and set your preferred template as the default. Similarly, you can configure sample or subject report templates for each sample or subject type. The report template enables you to select the attributes that you would like to include in your report with a click of a button. Once you complete configuring report templates, you can generate custom reports based on the set preferences, helping you save time and reduce turnaround time.